Video Doorbell Installation Service is here to help you with the setup of your new Video Doorbell. Prices start from £199 plus vat to £399 depending on the brand and features you require. Furthermore, according to a recent Police Crime Statistics report, there were an estimated 1.5 million burglaries committed over the course of a year, with more than 70 percent of them being residential. Surprisingly, the majority of these crimes occurred during daylight hours, with access gained through a door or window. One easy way to safeguard against property theft, home invasion, porch pirates, and even unwanted solicitors is to identify who is at your doorstep before opening your door. Enter the video doorbell, the first line of defense for homeowners that not only lets you see and speak with whoever is outside but will also record footage of visitors that approach your door while you’re away or unable to answer. When choosing a smart doorbell you have to decide if you want a wireless device that runs on batteries or one that gets its power from low-voltage doorbell wiring. Naturally, a wireless doorbell is the easiest type to install, as it draws power from batteries rather than from your home’s electric and doesn’t require that you turn off power or mess with any wiring whatsoever. The downside to wireless doorbells is that their batteries tend to deplete batteries quickly depending on usage, lasting anywhere from two to six months. But with HIKVISION and Qvis Video Doorbells the batteries last up to 2 years. If you live in an area where the winters are cold you can expect to recharge or replace your batteries every couple of months and run the risk of your doorbell shutting down at an inopportune time. Wired doorbells are not quite as easy to install as their wireless counterparts, but they are far from difficult and you don’t have to worry about losing power unless your whole house loses power. Since most homes already have doorbell wiring, installing a video doorbell is as easy as removing your old doorbell, disconnecting the two wires, connecting your new doorbell to the wires, and attaching it to the outside of your house. In most cases, you can connect the doorbell to an existing chime box as well. Video doorbells come in all shapes and sizes. The least expensive models tend to be bulky devices with limited color choices, while many of the more expensive models are slim and inconspicuous and come in a variety of finishes to complement your home. Chances are if the doorbell runs on batteries it is going to be bulkier and more obvious than a wired model. Any smart doorbell worth its salt is equipped with a video camera that sends an alert to your phone along with a live video stream when the doorbell button is pressed. A video is accessed via a mobile app that is also used to install the device, configure wireless settings, and set up alerts. You’ll pay more for doorbells that offer features like 1080p video, motion detection, two-way audio that lets you speak with whoever is out there, and on-demand video streaming. To avoid false alerts from passing cars, high winds, and any critters you may have roaming around your property, look for a doorbell cam that offers customisable motion zones. Video doorbells don’t offer local storage for recorded video, so you’ll have to subscribe to a cloud service in order to view your motion- and doorbell-triggered video clips. Expect to pay anywhere from £3 per month and up for a plan that gives you access to 30 or more days of video that you can download and share. If you want to view older footage, make sure you save your clips as they will be deleted after the allotted time is up. Many home security systems offer video doorbells as add-on components, but these devices typically do not work on their own and must be connected to a system hub. However, they usually interact with other system components such as door locks, sirens, and lighting. If you want a standalone smart doorbell that will work with other smart devices in your home, look for one that supports the IFTTT (If This Then That) internet service. With IFTTT you can easily create mini-programs, called applets, that let IFTTT-enabled devices interact with each other. For example, you can create an applet that tells a Wemo Smart Switch to turn on when a Ring Doorbell is pressed, or have a D-Link siren sound when an August Doorbell Cam senses motion. Another handy feature to look for is support for Alexa voice commands that let you view a doorbell’s live stream on an Amazon-enabled display. Once you’ve enabled the skill, simply say “Alexa, show the front door” to launch a live stream on your Echo Show or Fire TV-enabled TV or monitor. Similar voice commands are also available using Google Assistant. 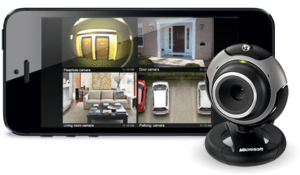 Video doorbells and home security cameras offer many of the same benefits. Both will show you what is going on outside of your home, both offer motion detection and motion-triggered recording, and in most cases, both let you speak to whoever is out there. 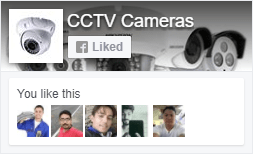 That said, the simple fact is that security cameras lack the doorbell component. If you’re downstairs doing the laundry and your phone is upstairs, a security camera won’t tell you that someone is at the door, but the doorbell will (when pressed). Moreover, unless they are battery operated, outdoor security cameras require a GFCI (ground fault circuit interrupter) outlet for power, which may limit potential mounting locations. Wired smart doorbells use existing low-voltage wiring and are relatively easy to install (they don’t require a ladder, for instance). With that in mind, these are best video doorbells we’ve tested so far. The category is evolving quickly, and we’ll be adding to this list regularly as we test new devices, so check back soon. Connect the Smart Video Doorbell to your Wi-Fi network using the app, then mount the unit using the tools included in the package. It only takes minutes; no professional help or special tools required. You shouldn’t have to arrange your life around a delivery schedule. With the Video Doorbell, you don’t have to. Always know when your package arrives – whether you’re upstairs or across town. No need to wonder if something is going on outside your home, see for yourself. Built-in motion sensors detect any activity on your property and trigger instant mobile alerts, giving you peace of mind when you’re away. Receive instant alerts when someone presses the button on your Video Doorbell or motion is detected, via the free Video Doorbell app (iOS® and Android™). See and speak with visitors from anywhere using your smartphone, and watch recorded footage anytime with Cloud Recording. Not everyone presses the button on your video doorbell, so we’ve included motion sensors to alert you of activity at your home. Any movement triggers an alert via the Video Doorbell app and activates the night vision HD camera. Connect the Video Doorbell to your Wi-Fi network using the Video Doorbell app, then mount the unit using the tools included in the package. It only takes minutes; no professional help or special tools required. Video Doorbell can operate for up to a year on its battery before needing to be re-charged. 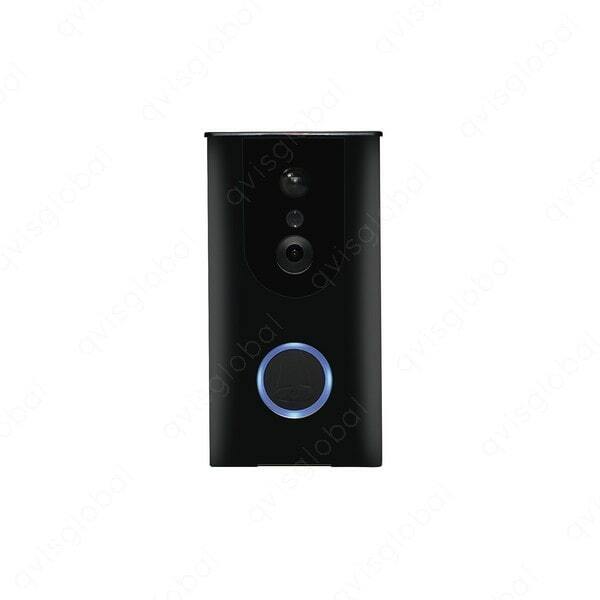 Video Doorbell can easily be demounted using the included security key screwdriver and charged via any USB port. What is a smart Video doorbell Installation? Smart Video doorbells function like a normal doorbell but have the ability to connect to your home WiFi network. They also usually come with an integrated camera and 2-way audio. This means you can receive alerts when someone is at your door, remotely access your doorbell’s camera to see who is it and communicate with your visitor from your smartphone or tablet via a compatible app from anywhere in the world. Smart doorbells can be used as a security device. Many feature night vision, motion detection, and wide-angle view cameras so you can monitor your property 24/7. Can smart locks and doorbells work with other smart home products? Smart locks and doorbells offer easy DIY installation and operate on their own through independent apps. However, they can be paired and integrated with certain smart home ecosystems. If you use a smart home ecosystem, make sure your desired smart lock and doorbell are compatible before making a purchasing decision. 7 What is a smart Video doorbell Installation?